IPdigIT Positional trademarks – what makes them distinctive? Positional trademarks – what makes them distinctive? According to a definition by the World Intellectual Property Organization (WIPO) a trademark “is a distinctive sign which identifies certain goods or services as those produced or provided by a specific person or enterprise”. Trademarks may not only be words, names, letters, and abbreviations, but also drawings, three-dimensional signs, combinations of colours or non visible signs. A key requirement for the registration of a sign as a trademark is that the sign has a distinctive character or acquired the latter through long and extensive use. Some marks are not distinctive per se, but gain a distinctive character due to their particular position on the object (so-called positional marks). Such positional marks are thus composed of two elements, of the mark itself and of its position on the product. Hence, in order to obtain trademark protection, it is crucial that the composition of the mark together with its specific position on the product enables consumers to distinguish those products from similar ones provided by another company (Do the consumers expect the mark to be displayed in the specific position? Is the mark sufficiently distinctive in the sense that it is not regarded as a purely decorative element?). 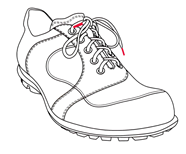 For instance, in 2011 the Office of Harmonization for the Internal Market (OHIM) decided to refuse the application of the Austrian shoe manufacturer Think Schuhwerk which asked for the registration of a positional mark to protect laced-up shoes with red-tip shoelaces. In its decision the OHIM stated that red-tip shoelaces are not regarded as sufficiently distinctive in order to help consumers to identify those shoes as the ones produced by Think Shuhwerk. While the decision of the OHIM seems to be understandable in the previous case, the apparent lack of the distinctive character of a sign may be subject to discussion. This is illustrated in a recent decision by the General Court in Luxembourg. In January 2014, the Court refused a trademark application by the German toymaker Margarete Steiff. That is, Steiff asked for the registration of two positional marks, a fabric label and/or a metal button attached to the ear of their soft toys. In 2010, the OHIM rejected the toymaker’s request. 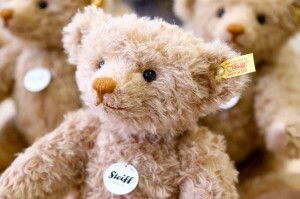 The OHIM has rejected Steiff’s requests, holding that the marks applied for were devoid of distinctive character: they did not enable consumers to recognise the commercial origin of the products, that is to say that the product is a Steiff soft toy and not the soft toy of another manufacturer. This decision was confirmed by the General Court in Luxembourg in January 2014. Another example is given by Levi Strauss and its legal dispute with Colloseum Holding. Levi’s red tab jeans are easily distinguishable by a small red label which is attached to the right pocket of the jeans. 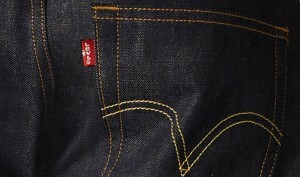 In fact, Levi holds several European Trademarks, not only on the red label in a certain position on the jeans’ pockets, but also, among others, on a composite mark of the red label together with the writing Levi’s. The Swiss company Colloseum started selling jeans with a similar red label, however, with its own brand name attached to it. When accused of breaching Levi’s trademark rights, Colloseum argued that the label featured their own brand name and thereby was sufficiently distinctive from Levi’s trademark. Further, the company brought forward that Levi, so far, never made use of the red label on its own. This in turn would violate the European genuine use requirements for brands and Levi should lose its trademark rights on the red tab on its own. 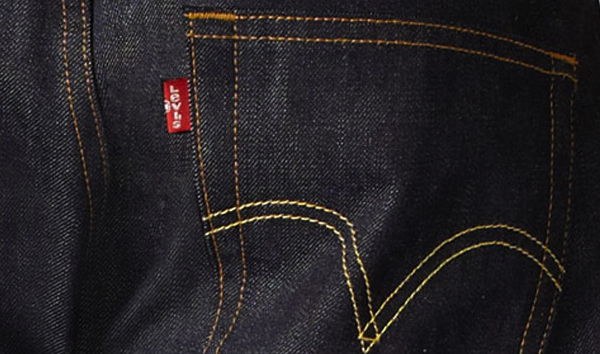 However, the European Court of Justice responded that the red label constitutes an integral part of the Levi’s brand, even though it is not used separately. This makes one wonder what distinguishes the Levi case from the Steiff case. Meaning why was Levi able to obtain a positional mark for the red label (even without the company’s logo attached to it), while Steiff was not? Should one not assume that consumers who are able to distinguish a Levi jeans from another jeans via a red tab are also able to identify a Steiff teddy bear via a yellow label attached to the toy’s ear? Moreover, even if one was to agree that the trademark proposed by Steiff is not distinctive, could it not be argued that the sign acquired its distinctive character through its long and extensive use? In fact, Steiff was founded in the late 19th century and as early as 1904 started protecting its products from imitation by attaching a metal button to the ear. Trademarks are supposed to enable companies to differentiate their products or services from the ones offered by their competitors. They thereby equally aim at helping consumers to identify products and to distinguish them from similar ones. Taken together, trademarks may encourage companies to invest in their brand and in the quality of their products or services. In the context of this article one may ask in what way granting a positional mark to Levi, but not granting such a mark to Steiff brings one further to reaching those goals.